The South Pittsfield Friends Church will be open on Sunday, August 26th with Pastor Harold Muzzey as the speaker. Services begins at 1:00 pm and all are welcome. There will be no service on Sunday, August 19th. 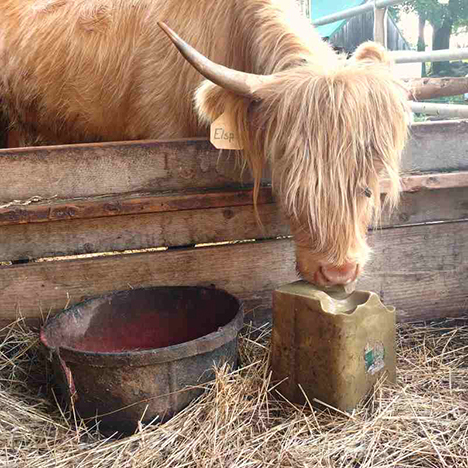 Elspeth, a three-year-old Highlander Heifer, licks the mineral block. The yearlings crowded around the pan, butting each other for the best spot. You'd think the pan contained yummy grain, but instead, I had filled it with a mixture of minerals. Cattle, just like humans, need minerals to survive, and the yearling herd had been without loose minerals for a few days. My cattle get most of the 10 minerals they need by eating hay or grass, but that diet is deficient in three necessary minerals – copper, zinc, and selenium. Without minerals, cows may lose appetite, their hooves may deteriorate, and in extreme cases, they can die. Bottom line: Cattle perform better and utilize feed more efficiently with minerals in their diet. About 10 years ago one of my 4-month-old calves seemed a bit sluggish but was otherwise healthy. A few days later he was dead, with his distressed mom standing over him. Devastated, I called the vet who, without a lot of costly tests, was unable to determine a cause of death. The next year another calf died in the same way. With two cases to analyze, the vet was able to point the finger at selenium deficiency. When a third calf showed similar symptoms, the vet ordered injections of selenium. Selenium deficiency causes “white muscle disease” (similar to muscular dystrophy) in newborn calves. Selenium deficiency can also cause calves to be weak at birth and increases their susceptibility to diseases like scours. 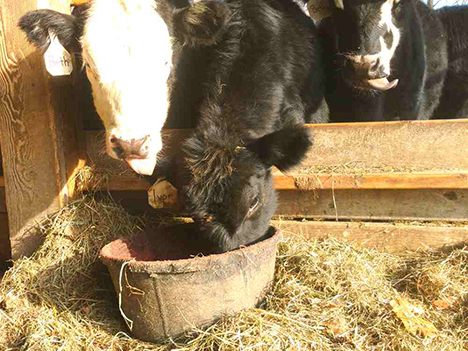 New England soil is devoid of selenium, so it must be provided to cattle in either a mineral block for licking or granulated for regular chomping. Other sources of selenium are seafood and nuts, but sadly they are not on the bovine menu. While selenium is essential for calf health, it can also be toxic. Cattle need just the right dosage of the correct minerals to thrive. And what is the best way to administer the proper dosage? Consult the calf! Cattle have brilliant digestive systems that tell the animal what and how much to eat. Given the opportunity, a cow will always make the right choice – not too much and not too little. So we provide loose minerals in a pan, and they help themselves. Most minerals are not stored in their bodies in significant amounts. So the consistent intake of a balanced mineral supplement is essential. We also provide a solid 20-pound mineral block called a “salt lick,” which the cattle can lick when the loose minerals have been eaten up. The licks come in red (trace minerals), white (just salt) and green (trace minerals, including selenium), and one block can last six months or more. Just like cattle, humans need a daily intake of minerals to survive, but the human digestive system not as discerning as a cow's. For instance, I'd prefer getting my salt and potassium from a Triscuit - not a salt block. The difference is that I'd keep eating long after my system's need for minerals is satisfied. Triscuit anyone? The Pittsfield Players will hold auditions for their fall musical, Camelot, at The Scenic Theatre, 6 Depot St. in Pittsfield, on Sunday and Monday, August 19 and 20, at 7 pm both evenings. Director Maye Hart is looking forward to selecting another great cast, with many speaking parts, solo songs, and non-singing roles as well. We will also be training in sword usage and sword fighting, as well as building a wonderful set. Camelot is a musical by Alan Jay Lerner (book and lyrics) and Frederick Loewe (music). It is based on the King Arthur legend as adapted from the T. H White novel The Once and Future King. The original 1960 production ran on Broadway for 873 performances, winning four Tony Awards and spawning several revivals, foreign productions, and the 1967 film .The original cast album was America's top-selling LP for 60 weeks and the musical has become associated with the Kennedy Administration, which is sometimes called the "Camelot Era.” The Players’ originally produced the show in 1988, so this will be a revival, of sorts, for the group. Roles for the show include King Arthur; Merlyn, his magician (non-singing); Guenevere; Lancelot; Pellinore (non-singing); Modred, Arthur’s evil son; Morgan LeFay; Tom of Warwick (young boy, non-singing); Sir Dinaden; Sir Lionel; Sir Sagramore; Squire Dap; Lady Anne; and the nymph Nimue (solo singing). In addition, there are 12 Lords and Ladies of Camelot that make up the chorus. Auditioners will be asked to sing a song from the show, to demonstrate a few simple dance steps, and to read from the script. Those auditioning for the role of King Arthur should be prepared to sing the song Camelot, or I Wonder What the King is Doing Tonight. Those auditioning for Guenevere should come prepared to sing Where Are The Simple Joys of Maidenhood or Before I Gaze At You Again. Lancelot hopefuls should prepare C’est Moi or If Ever I Would Leave You. And those auditioning for Modred’s part should prepare The Seven Deadly Sins. All other auditioners can prepare any song from the show. Our accompanist Phil Breton will be at auditions with the score to provide the music. If you are interested in working on just the technical parts of the show –set building and painting, lighting booth, etc. please contact Maye Hart. We will be selling a variety of colors in 10” pots and 5 gallon pots. We will also be selling baked goods and perennial plants for fall planting. The community of Pittsfield is hosting a candidate’s night at 6:30pm on Tuesday August 21st at Pittsfield Elementary School (you can enjoy pizza and visits with neighbors at 6:00 pm). The theme of the evening will be to discuss ways to strengthen equity in public education, but all people who attend will be able have in depth conversations with candidates about issues of personal interest. People living in Allenstown, Epsom and Pittsfield are invited to attend and talk to candidates for the NH House of Representatives. NH Senate District 17 includes the towns of Allenstown, Chichester, Deerfield, Epsom, Loudon, Northwood, Nottingham, Pembroke, Pittsfield, Raymond and Strafford; citizens are invited to come and talk with the senate candidates. 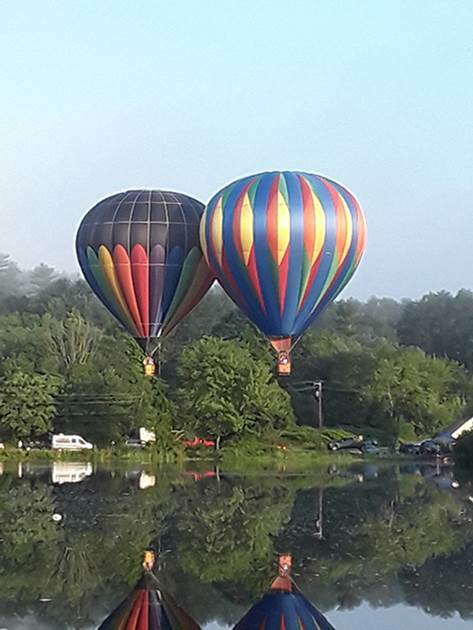 If you are interested in learning more about equity in education throughout New Hampshire information links are posted on the Pittsfield School District website. In addition, Education Funding 101 sessions will be held in Newport at 6:00pm on August 14th, Derry at 6:30pm on August 20th and in Berlin at 6:00pm on September 6th. Additional sessions will be held in Keene and Rochester (more sessions may be added). If you live in the Pittsfield area and would like to car pool to attend an Education Funding 101 session, you can contact Adam Gauthier at adamgau23@yahoo.com. A one issue meeting- vote on the Historical Society's request of a donation of the vacant Washington House lot on Factory Hill as the site for a new building for their headquarters. Two public hearings were held earlier and by statute a decision had to be made by the Select Board not later than the 7th. Thoughts remained; lost parking lot revenue, The Historical Society is non-profit and not a town entity, they’ve outgrown their present Elm St. quarters, benefit to the town of an "attraction" to the downtown area that should speak well of the town, preserving our heritage, to name some. Different aspects had different importance to each us, so we did what we were elected to do- vote our conscience. Relocating the Historical Society has been on our plate since I took office, with numerous ups, downs, twists and turns. We had two options Tuesday night- make the donation and let the Historical Society get moving on this project, or deny the request and send it back to the drawing board for them to start over and try to resolve all negative issues associated with the project to the satisfaction of all Select Board members. In a split decision we voted to make the donation. Speaking for myself, I voted in favor of it, so that we can all move on with hopefully an addition to the town that we can view with pride. The deed will come with a clause that if for any reason the Historical Society cannot continue to keep the property it will revert back to the town. The members of the Society in attendance gave their word that they would try to work out a parking situation for the four spaces that have been rented..
We're looking for several new members to join our writing group, which meets weekly at the Maxfield Public Library in Loudon. This is neither a club nor a class. It is a small group formed to provide an opportunity for its members to work on their manuscripts and improve their prose-writing skills while benefiting from the support, encouragement, feedback, and accountability that working with other writers can offer. We've lost a few of our members to job changes and relocations, leaving us with openings for three or four new writers to join the group. If you're serious about your craft, open to constructive criticism, able to meet weekly, and interested in working collaboratively with other writers, please join us on Tuesday, September 11, 2018 at 10:00 a.m. at the Maxfield Public Library. We'd love to meet you. Pittsfield Listens and Pittsfield PTO will host a bipartisan forum for state representatives and District 17 state senate candidates. The forum will on August 21st from 6:30pm to 8:00pm at the Pittsfield Elementary School. 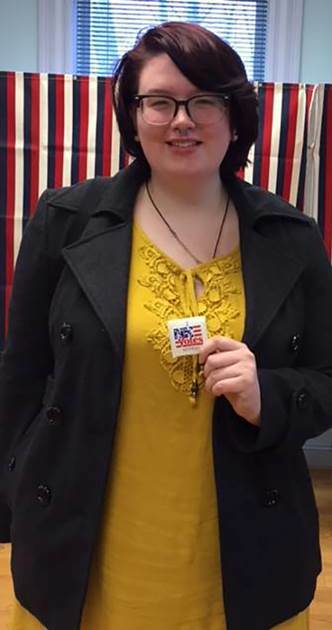 “We believe this format offers an opportunity for voters to connect with candidates, so they’ll have a more informed vote, and also so they’ll feel more comfortable reaching out to elected officials in the future on issues that are important to them,” said Melissa Babcock, president of the Pittsfield PTO. This is the seventh year Pittsfield has used this format with local candidates but it is the first time with state representative and senate candidates. We believe the votes taken in Concord have a greater impact on people’s daily lives than anything that happens in Washington. This week marks Amber Ricci's last week on staff with Pittsfield Listens, and we're going to miss them very much! Amber began with Pittsfield Listens as a leader with Pittsfield Youth Voice in it Together (PYViiT) as a Pittsfield High School student. Upon graduating they joined on staff as the Youth Organizer Intern for their gap year. We are deeply inspired by Amber's participatory style leadership, and passion for supporting youth voice on issues that impact them. Amber has helped to grow PYViiT further into their community organizing work- including growing relationships with more high school students and increasing the PYViiT leadership base, supporting leaders to design and facilitate workshops, and in growing their School Build Campaign. We are grateful for all that Amber shines on for the Pittsfield community and its schools. Join us in congratulating Amber on their amazing work with Pittsfield Listens and PYViiT, and for their next steps as a college student at the Southern NH University! Drop a note on Facebook.com/pittsfieldlistens and stay in the loop at www.Pittsfieldlistens.org. 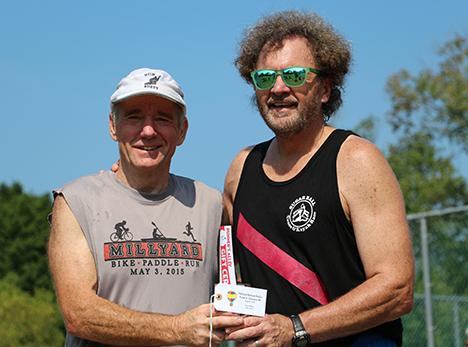 Mike Barry (l) of Northwood Wins 4th Place Overall and 1st place in his age group - Award presented by Tom Raffio (r), CEO of Northeast Delta Dental. 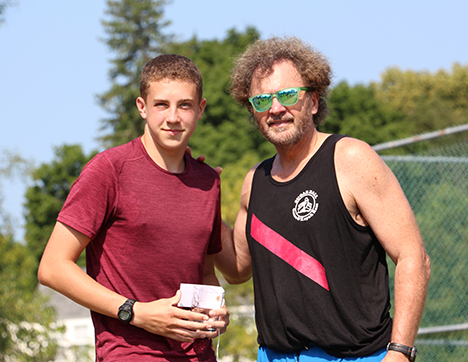 Nathan Fries (l) of Epsom Wins 6th place Overall and 3rd place in His Age Group, Award presented by Tom Raffio (r), CEO of Northeast Delta Dental. 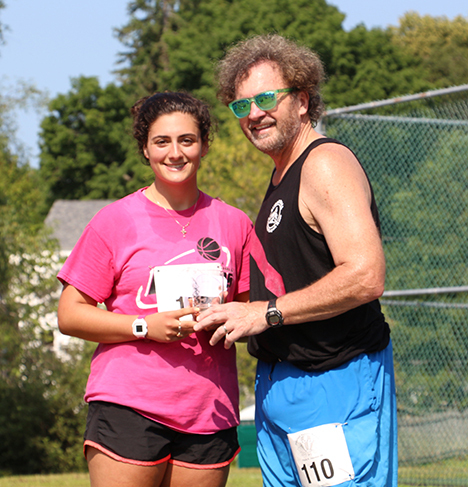 Zoe Kaplan (l) of Center Barnstead wins 3rd Place in Her Age Group - Award presented by Tom Raffio (r), CEO of Northeast Delta Dental. 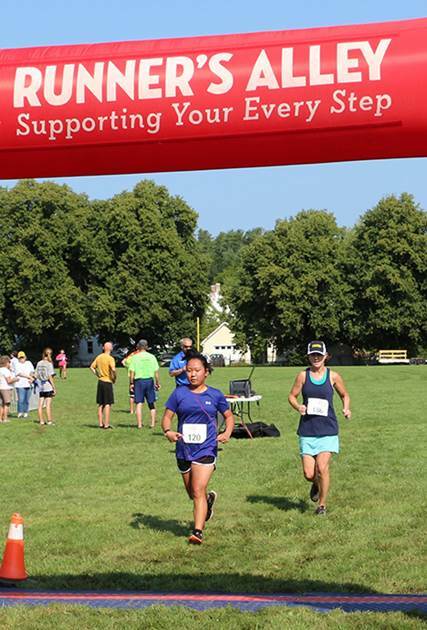 Jocelyn Vien, Mabel Johnson, and Jocelyn Ash (L to R), all of Pittsfield, Cross the Finish Line. Chad Hayes of Center Barnstead. Kira Wood and Kathy Traynor of Pittsfield. 15-year-old Hayden Goyette crossing the finish line wtih 14-year-old Lucas Fries close behind (both of Epsom). 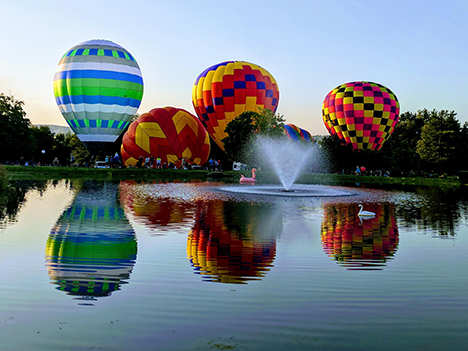 Congratulations to all of the participants in this year’s Pittsfield Balloon Rally Frank H. Donovan 5K! 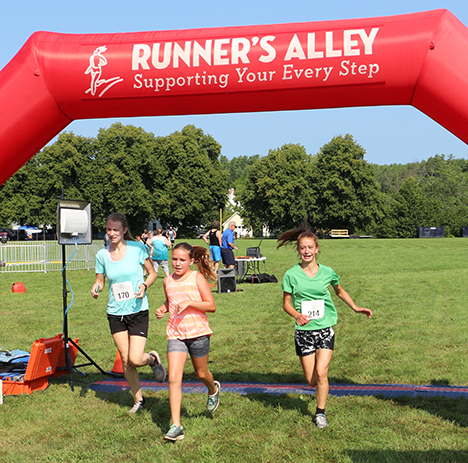 Runners brought their smiles and positive attitudes to overcome the humidity and soggy field. Participants included 35 local runners from Suncook Sun towns, many of whom earned awards in their age categories: Jocelyn Ash of Pittsfield, Kira Wood of Pittsfield, Zoe Kaplan of Center Barnstead, Nathan Fries of Epsom, Sarah Martin of Pittsfield, Samantha Zinn of Northwood, Robyn Millette of Pittsfield, Chad Hayes of Center Barnstead, James Alexander of Epsom, Veronica Carter of Northwood, Mike Goyette of Epsom, Andy Fries of Epsom, Kathy Traynor of Pittsfield, Chris Ward of Pittsfield, and Mike Barry of Northwood. 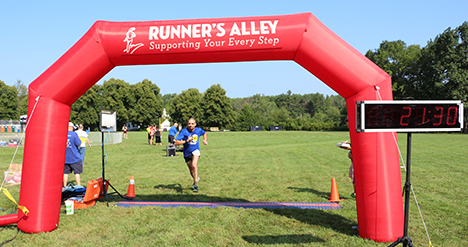 Congrats to Sarah Martin who won SECOND place overall for females with a time of 23:05 and Mike Barry who won THIRD place overall for males with a time of 20:51! This June, we awarded the 2018 Frank H. Donovan scholarship to Tucker Wolfe, PMHS senior, in the amount of $1500. Tucker will be attending the University of Utah in the fall. We look forward to presenting another scholarship next spring! 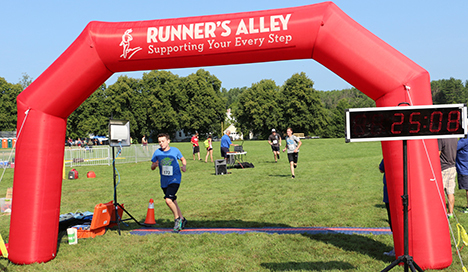 Thank you to all of the volunteers, sponsors, and participants who made this race possible. 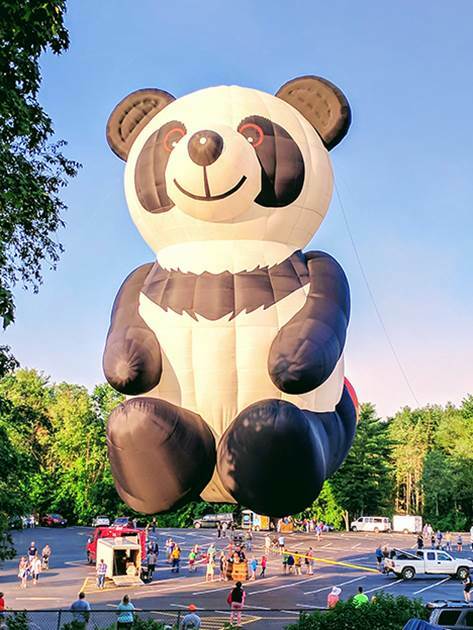 Mark your calendars for August 4, 2019 to take part in this great Balloon Rally tradition! 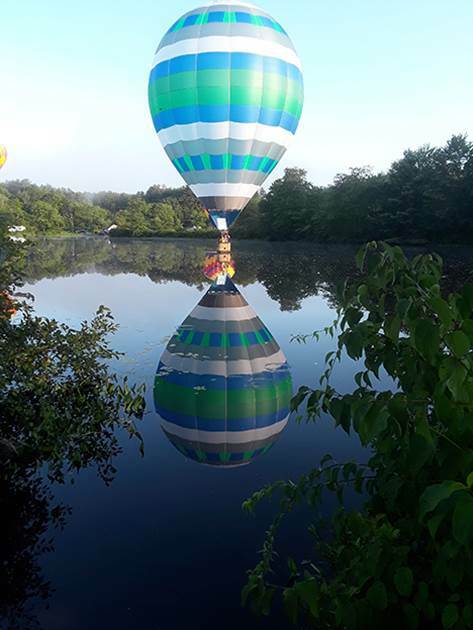 CONCORD – Susan Lynn (Paige) Morgan, 61, of Pinewood Trail, died on Sunday, August 5, 2018, at home, just where she wanted to be at the end, with family members at her bedside. For 17 months, she had courageously battled inflammatory breast cancer (IBC), a rare and extremely aggressive form of the disease. Susan was born in Concord on November 2, 1956, a daughter of Gilbert and June (Remington) Paige. She grew up in Pittsfield and graduated from Pittsfield High School in 1974. She received her Bachelor of Arts degree from the University of New Hampshire in 1978 with a major in 17th Century English Literature and a minor in Library Science. She took graduate courses in Library Science at the University of Rhode Island. She also earned a degree in Paralegal Studies from the Thomas School of Business in 1994 and continued to further her education by completing courses at several colleges and universities until 2017. In December of 1987, she married the Rev. Charles M. Morgan, and together in Pittsfield they raised their five children in a blended family. Both Susan and Charles desired and did everything they could to find success in creating a loving, unified family circle in which all five would feel equally cherished and adored. Susan liked to work, and she was extremely efficient, diligent, and capable in every job she held. Her most recent employment – for nearly 20 years – was with the State of New Hampshire. She worked first for the Department of Justice in several capacities, including as the Coordinator of Victims of Violent Crime Compensation. Then she worked for the Department of Education, from which she retired in December, 2016. 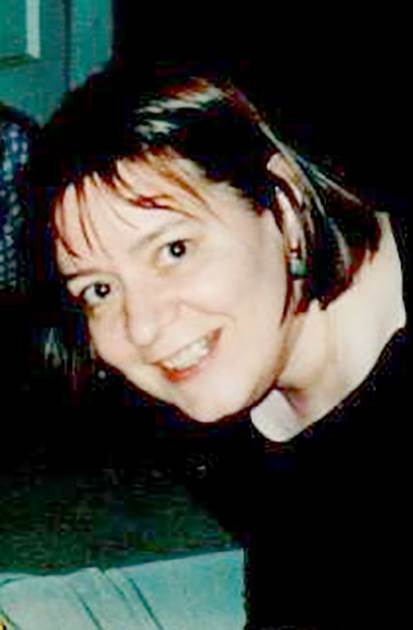 Prior employment included working for Healthsource in the Legal Department, Blue Cross and Blue Shield in Customer Service, the Paige Agency in Pittsfield as Vice-President of Commercial Operations, Alpha Graphics in Pittsfield as an editor/proofreader primarily of academic textbooks and medical treatises, and as librarian at several libraries in New Hampshire. Susan was a member of the First Congregational Church in Pittsfield for 27 years, and she held positions on every board and committee except for one. She loved the church for the opportunity it gave her to help others in a positive, material way. She liked best to work in the background, however – never as the center of attention in the spotlight’s glare. 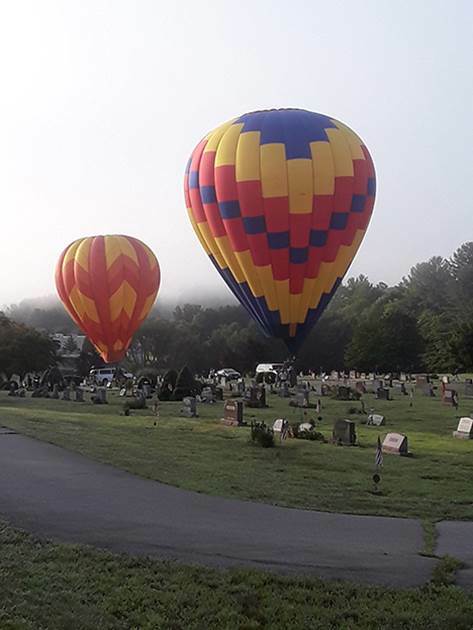 After moving to Concord in 2004, she joined Wesley United Methodist Church in 2009 and enjoyed worshipping there until her declining health prevented her from attending services toward the end of her life. Besides her church activities, she was also very involved in different community volunteerisms, most often behind the scenes – generous with her time and her financial resources. Susan always wanted to live as simply as possible. The perfect day for her was a day filled with time spent reading a riveting mystery or thriller, a cup of coffee in hand, her little dog asleep and snuggled in beside her, and her husband nearby doing the various things he enjoyed. Then an evening with him in conversation, listening to music, or more reading together. She also looked forward to gatherings with their children and grandchildren, as well as get-togethers with the larger, extended family of parents, siblings, and others. She loved her home, and she loved being home. And that is why she wanted to die at home. She is survived by her husband of over 30 years, the Rev. Charles M. Morgan of Concord; her mother June Paige of Concord; her children: Ash Morgan and wife Ashley Kennedy of Pembroke; Brook T. Morgan of Peabody, MA; Patrick Starkey and wife Melissa of Loudon; Blaze Raber and husband Michael of Newmarket; and Amanda Starkey of Kennebunkport, ME; six grandchildren: Shea, Chloe, Lesbelle, Patrick, Lennox, and Brody; siblings: Cynthia Cook and husband Michael of Ctr. Barnstead; Pete Paige of Pittsfield; Valerie Paige of Cooperstown, NY; and Daphne Paige of Penacook; an aunt, nieces, nephews, and cousins. She was predeceased by her father, Gilbert S. Paige, in September, 2017. A Visitation will be held Friday evening, August 17, at the Waters Funeral Home, 50 South Main St., Concord, from 5:00 to 7:00 PM. Funeral services will be held Saturday, August 18, at 11:00 AM in the Wesley United Methodist Church, 79 Clinton St., Concord. The Rev. Peter Hey, Pastor, will officiate. A collation (with luncheon refreshments) will follow at the church. The Burial will take place in Floral Park Cemetery, Pittsfield, following the collation. In lieu of flowers, donations in her name may be made to the Pope Memorial SPCA of Concord-Merrimack County, 94 Silk Farm Road, Concord, NH 03301. Special thanks to the staff of Concord Regional VNA (both Hospice and Home Care); New Hampshire Oncology-Hematology; Payson Center for Cancer Care; Concord Surgical Associates; and Pembroke Animal Hospital for their special care of little Phoebe, the family’s miniature dachshund, during trying times. The Waters Funeral Home, David Pollard Director, is assisting the family with arrangements. Strafford - David Philip Dame, 48, passed away from stomach cancer on August 2nd, 2018 surrounded by a few family members and close friends at the Jack Byrne Center for Palliative & Hospice Care in Lebanon, NH. When not working, David enjoyed the company of many different friends throughout his life. He was known for his ability to gather folks under many circumstances. He was quite amusing in the most unexpected and humorous ways. He rarely spoke poorly of anyone and befriended many. He enjoyed riding his motorcycle near and far. He loved nature, bird watching, and the great outdoors, especially his winters in Colebrook, NH, where snowmobiling dominated. Many good times were had on ‘The Porch’ with dear friends and family in Colebrook. David leaves his parents, Carolyn (Gustafson) and Philip Dame, sisters: Denise Dame of Hanover, NH; Darlene McKenzie of Rochester, NH; Dawna Noel of Lebanon, ME; Doreen (and husband, Howard) Myers, of Partlow, VA; Debra Dame of Barnstead, NH; and brother, Daniel Dame of Strafford, NH. Hewas predeceased by sister, Diane Campbell of Strafford, NH who died in 2016 of ALS. He also leaves many nieces, nephews, great-nieces, great-nephews, aunts, and uncle.